In this 106th episode I welcome Dr. Marius Fassbinder to the show to discuss the use of hydroxyethyl starches. improved paradigm for prescribing intravenous fluid therapy. British Journal of Anaesthesia 108, 384–394 (2012). 2. Westphal, M. et al. Hydroxyethyl starches: different products–different effects. Anesthesiology 111, 187–202 (2009). 4. Perner, A. et al. Hydroxyethyl Starch 130/0.42 versus Ringer’s Acetate in Severe Sepsis. N. Engl. J. Med. 367, 124–134 (2012). hypovolemic shock: the CRISTAL randomized trial. JAMA 310, 1809–1817 (2013). Randomized, Double-blinded, Controlled Trial in Major Abdominal Surgery. Anesthesiology 128, 55–66 (2018). 9. Gillies, M. A. et al. Incidence of postoperative death and acute kidney injury associated with 6% hydroxyethyl starch use: systematic review and meta-analysis. British Journal of Anaesthesia 112, 25–34 (2014). In this 105th episode, which will be the first part in a series on blood management, I turn over the mic to Dr. Stephanie Cha who interviews Dr. Steve Frank about blood management in cardiac surgery and how to do “bloodless” surgery for patients who refuse blood transfusions. 1. Myles PS, Smith JA, Forbes A, Silbert B, Jayarajah M, Painter T, Cooper DJ, Marasco S, McNeil J, Bussieres JS, McGuinness S, Byrne K, Chan MT, Landoni G, Wallace S, Network AIotACT. Tranexamic acid in patients undergoing coronary-artery surgery. N Engl J Med 2017;376:136-48. 2. Frank SM, Wick EC, Dezern AE, Ness PM, Wasey JO, Pippa AC, Dackiw E, Resar LM. Risk-adjusted clinical outcomes in patients enrolled in a bloodless program. Transfusion 2014;54:2668-77. 3. Cho BC, DeMario VM, Grant MC, Hensley NB, Brown CHt, Hebbar S, Mandal K, Whitman GJ, Frank SM. 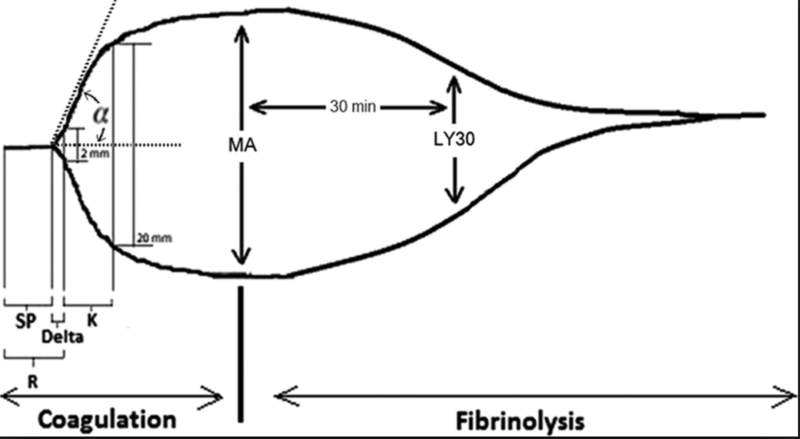 Discharge hemoglobin level and 30-day readmission rates after coronary artery bypass surgery. Anesth Analg 2018. 4. Pattakos G, Koch CG, Brizzio ME, Batizy LH, Sabik JF, 3rd, Blackstone EH, Lauer MS. Outcome of patients who refuse transfusion after cardiac surgery: A natural experiment with severe blood conservation. Arch Intern Med 2012;172:1154-60. 5. Frank SM, Scott AV, Resar LM. Bloodless medicine and surgery: Top 10 things to consider.Anesthesiology News 2016. In this 104th episode I welcome Dr. Pam Lipsett to the show to discuss the diagnosis and treatment of sepsis. Marik Sepsis cocktail: Marik PE et al. Hydrocortisone, Vitamin C, and Thiamine for the Treatment of Severe Sepsis and Septic Shock. 2017: 151(6);1229–1238. In this episode, episode 86, I welcome Dr. Bob Sikorski back to the show to discuss thromboelastography (TEG) and thromboelastometry (ROTEM). We discuss how they work, what they tell us and how we can use them. In this episode, Episode 69, I welcome Dr. Bob Sikorski, director of trauma anesthesiology at Johns Hopkins, to the show to discuss a general overview of trauma anesthesia. We discuss prehospital, ER and OR management and key things to keep in mind when caring for trauma patients. In this episode, episode 37, I go over crises that can happen in the OR, when to suspect them, and what to do about them. I draw from two excellent sets of OR crisis checklists that are available for free. The Stanford Anesthesia Cognitive Aid Group’s lists and the Ariadne Labs/Brigham/Harvard School of Public Health lists. In this episode, episode 31, I welcome one of our amazing chief residents to the show, Dr. Stephen Freiberg. Stephen has taken an interest in massive transfusion and he goes over the highlights of when to do it, how to do it, what complications you see from it and how to manage those complications. In this episode, episode 29, I welcome to the show Dr. Glenn Whitman. Dr. Whitman is a cardiac surgeon and intensivist and runs the cardiac surgical ICU here at Johns Hopkins. I interview Dr. Whitman about PA catheters. We discuss when to place them, when not to place them, how to use them and when to take them out. In this episode I discuss the use of IV fluids for perioperative use including how to decide when to give fluid, the downsides of over resuscitation, whether to use crystalloid or colloid, and whether to use saline or a balanced salt solution such as LR.